Friends of Music and Art of the Scarsdale Schools: Congratulations Cailey Martin, a 2014 All-National Honor Mixed Choir Member! Congratulations Cailey Martin, a 2014 All-National Honor Mixed Choir Member! 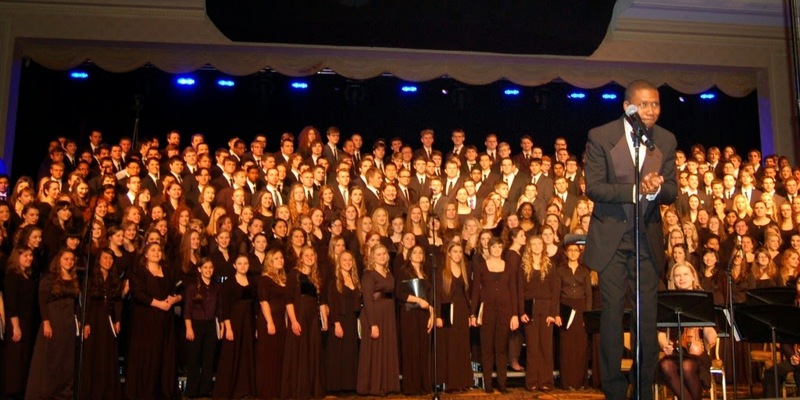 Rollo Dilworth, conducting the All-National Honor Ensembles Mixed Choir last year. SHS student Cailey Martin was selected for the 2014 All National Honor Mixed Choir which perform in Nashville, Tennessee (26-29 October), as well as have an amazing opportunity to work with some of the most renowned conductors in the United States. Thank you to FMA members!